As the first light of morning brightens the enclosure, the King of the Jungle cracks open one eye, surveying his domain with interest. The quality of the indoor light, usually so brash and glaring is softer, somehow, hearkening to the gentle rays of the morning sun. Schroeder is his name, and as the gorilla shakes the fine layer of condensation from his fur, he savors the flavor of the air with wide nostrils. It is humid, with the slight morning chill characteristic of the lowland tropics. He is more at home in the enclosure than he’s been in years, the humidity and heat of the morning slowly building as the sun rises, and the lights and air control compensate, creating the atmosphere of the jungle. Around King Schroeder, his troop is waking: Alice, Nne, Dara, and the latter’s 2-year-old child, Arlene. In the distance, the sounds of the bachelor troop waking ring out, their noisy voices loud and hoarse. Jabir, Samson, and Virgil, a group of related males, are the other inhabitants of the enclosure. Schroeder tolerates them, but if they get too close to his consorts, he will warn them off. Oftentimes, just a look from the King is enough. What have the humans done now? Ignoring his troop for the moment, Schroeder climbs the nearby trees and ropes to investigate. While the others are starting their day of feeding and resting, he prods at the covered lights and discreet air vents. 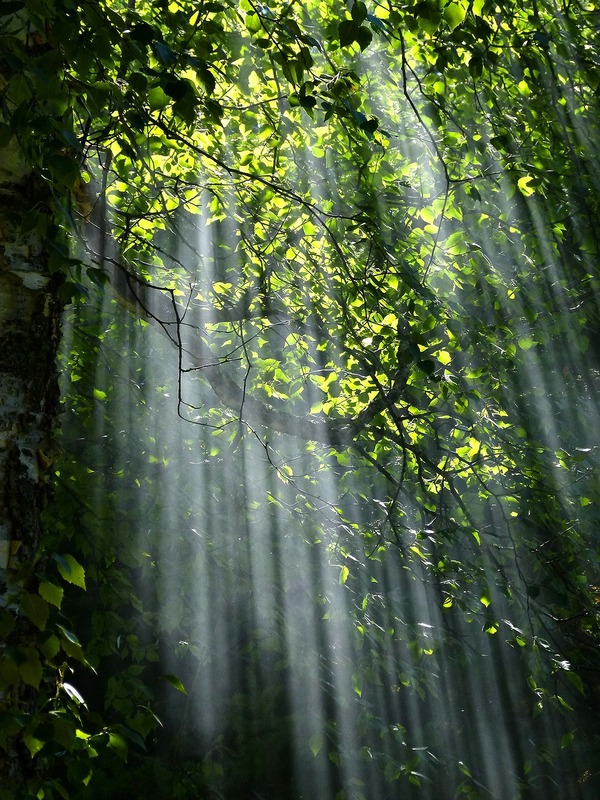 A light mist is released from them, feeding the humidity of the air. What Schroeder sees is only the outer shell of a complex system of climate control, lighting, and energy management. In order to create the best habitat for the primates, the atmosphere is as close as possible to the animal’s natural environment while still remaining green and sustainable. Every part of the exhibit has purpose, from the vegetation that will be used as graze for the gorillas to the harmony of lights and natural lighting. The utilities are streamlined and highly efficient, so no energy or resource is wasted in the care of the gorillas. These measures are not simply to provide Schroeder and his family with an ideal environment. As the number of wild gorillas dwindles, it is up to the Como Zoo and other establishments like it to encourage population growth and preserve the breed. This, in turn, requires sensible solutions to the conservation of not only animals, but energy use as well. Como Zoo is creating a future for its gorillas and giving them room to grow. Schroeder will be the father of a new generation of gorillas, thanks to the zoo staff and the new, sustainable exhibit. The enclosure is a harmonious work of art and efficiency. From the trees that provide browse for the gorillas to the climate control and lighting, its design has the future of not only the animals in mind, but the future of the establishment and future generations of gorillas. Schroeder looks down on the enclosure from his perch, taking in the view. His troop is foraging below him, little Arlene romping around and pestering the other gorillas. He can see the multitudes of humans that pass through, eyes wide and sparkling. He breathes deeply, nostrils flared, before swinging down to join his family. The air is clear and fresh, the light constant and natural, and the climate comfortable. While he may not understand the finer points of his surroundings, he is content in his tenement. SES, Inc. recently completed a Gas and Energy Study of the facilities and enclosures at Como Zoo where we identified energy saving strategies such as LED lighting that will produce an annual savings of 23,912 Dtherms of gas and 1,615,311 kWh of electricity. We at SES, Inc. are very excited to have gotten to work with the Como Zoo and to look ahead at what is on the horizon.